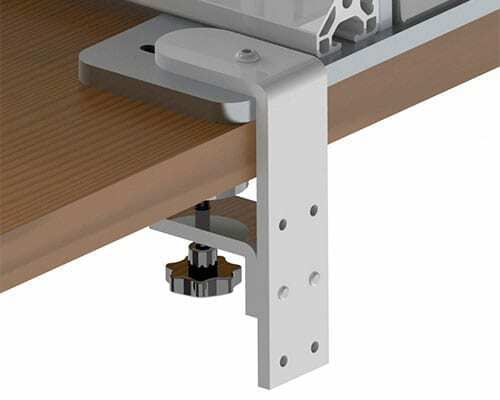 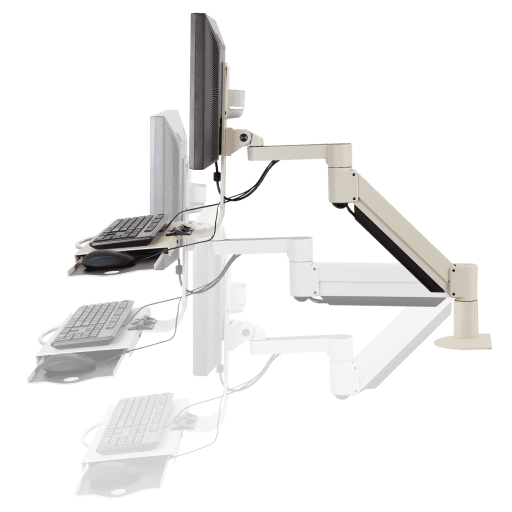 The 7509 data entry monitor arm and keyboard tray is the right choice for space-sensitive environments requiring multiple users in a standing position. 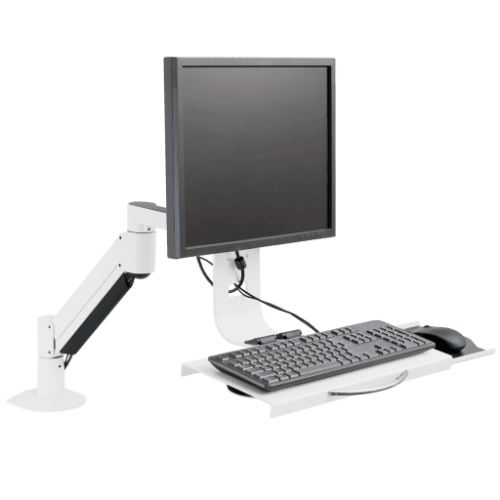 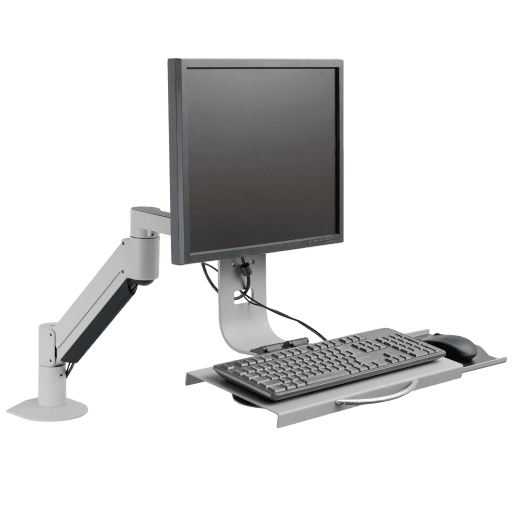 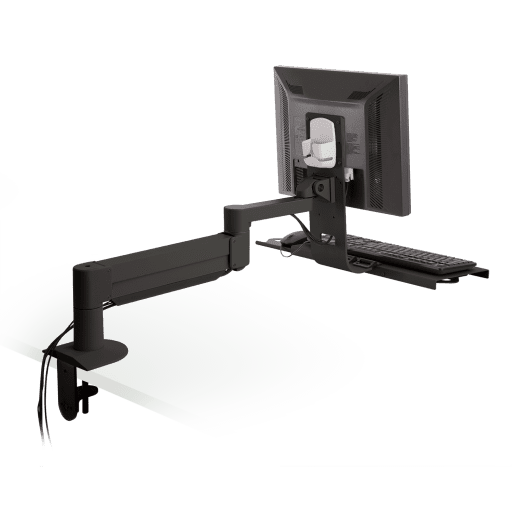 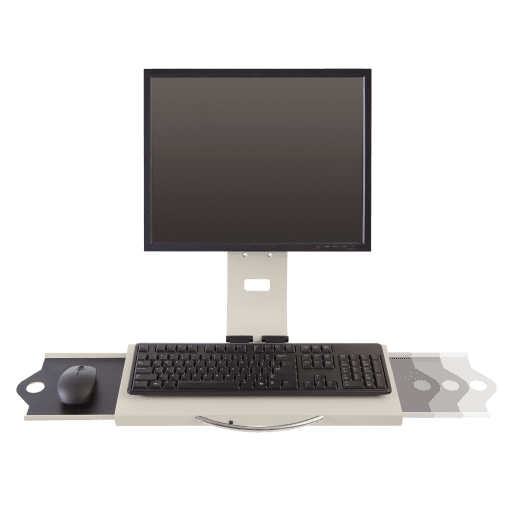 The 7509 data entry monitor arm is a remarkably flexible data entry workstation that also features a keyboard tray that can be folded flat when not in use and a slide-out mouse tray that accommodates left- or right-hand users. 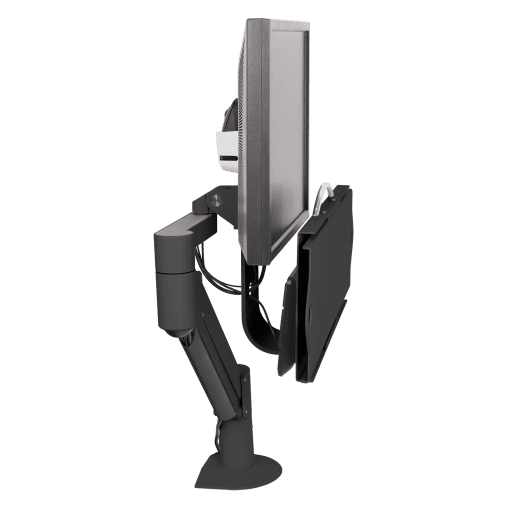 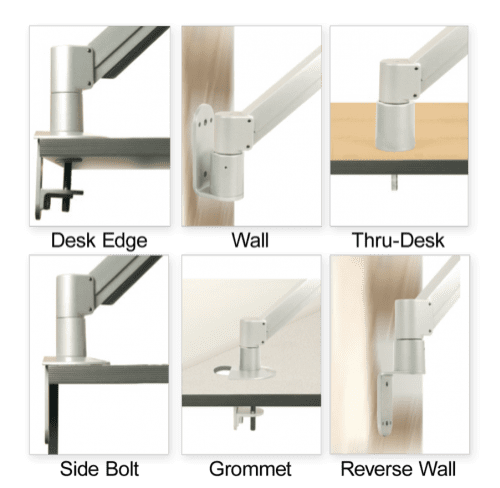 Data entry monitor arm includes FLEXmount with six mounting options. 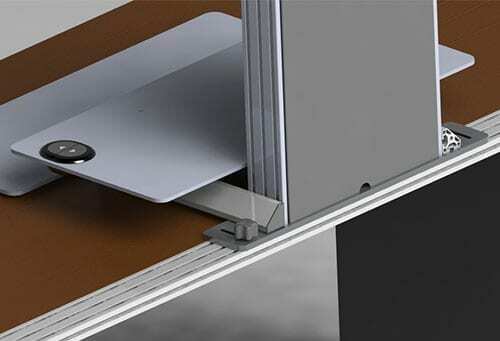 Keyboard tray can be folded flat when not in use. 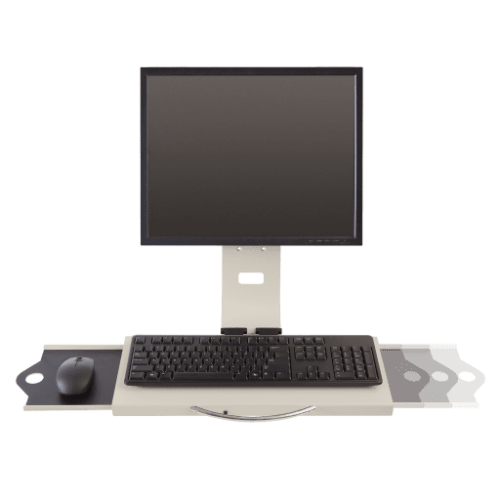 Built-in mouse tray accommodates left- and right-handers. 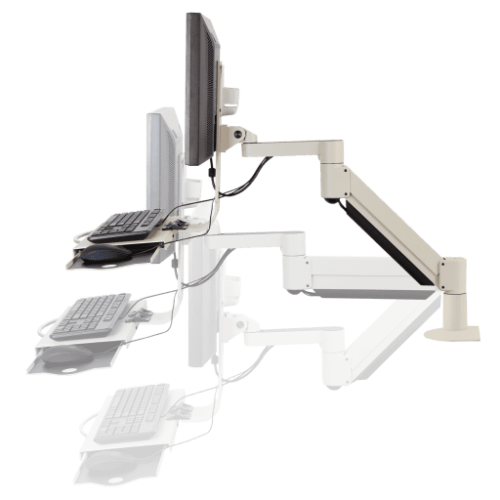 Angles of monitor and keyboard tray can be adjusted independently. 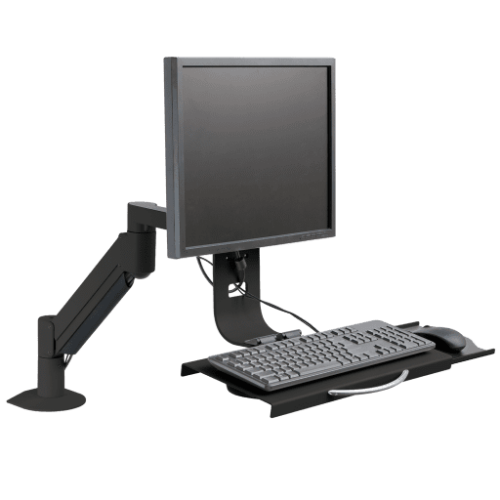 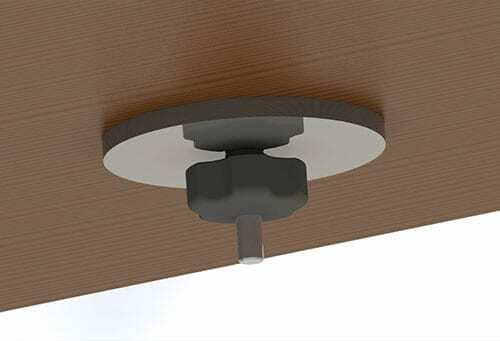 Monitor mount offers 18" of vertical range and 27" of horizontal range. 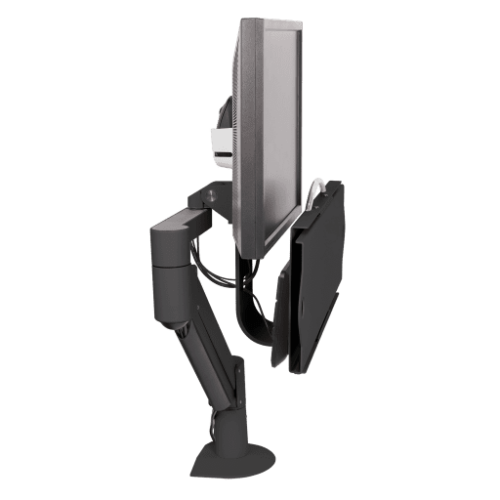 Arm rotates 360 degrees at three joints. 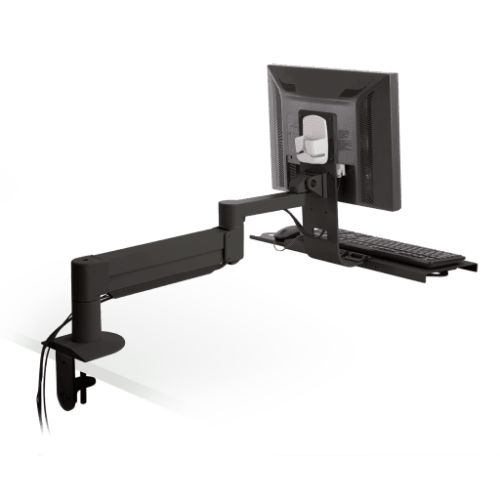 Monitor arm and keyboard tray folds up to occupy just inches of space. 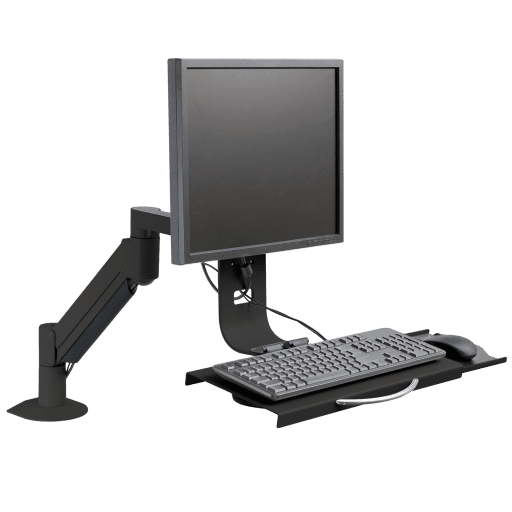 Cable management system routes cables entirely within monitor arm.